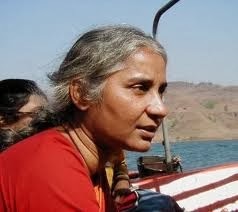 Gujarat may have refused to deal with Medha Patkar, well-known social activist and head of the Narmada Bachao Andolan (NBA), calling her “anti-Narmada” for her long-time opposition to the Narmada dam, on one hand, even as favouring the tribal oustees. So much so that she was treated as “persona non grata” the last over two decades. However, in a major breakthrough to her, the neighbourng BJP government in Madhya Pradesh has been forced to deal with her over contentious issues related two other big dams built on Narmda river – Indira Sagar and Omkareshwar. Chief Justice of the High Court of Madhya Pradesh, Indore, AK Khanvilkar has directed the government of Madhya Pradesh to constitute a high level committee under the chief secretary to discuss and resolve issues pertaining to the Indira Sagar project’s and Omkareshwar project’s canals in the Narmada valley. He said, Medha Patkar and four other representatives of NBA should be invited to a meeting of this committee to be convened by the chief secretary at Bhopal in the first week of March 2014, to be attended by senior state and central officials. The MoEF panel views poor work on Narmada-based canals “as a serious dereliction from consideration of irrigation and drainage management”, observing “serious lapses due to deficient design and planning, inadequate attention to operation maintenance, canal development works and link drains not concurrently constructed, no restoration, even after breaches in August 2013. The panel has been pointed out that “poor quality canal work causing severe damage to farmers, which should result in imposing penalty on the contracting agency.” On the issues related with Narmada bank’s irrigated tract (in those villages in close proximity to the river, where 70-80 per cent irrigation exists), it has been suggested that the Narmada Valley Development Agency (NVDA) should defer all works, until “a final view”, has been taken in the matter. “MoEF has also taken the position that as per the clearance of 1987 to Indira Sagar and the Narmada water scheme, the Narmada Control Authority (NCA) is empowered to monitor all projects on the Narmada river. It has taken serious objection to the approach of NVDA with regard to non-cooperation with NCA, non-provision of necessary data and documents and has stated that this constitutes breach of the conditions on which the environment clearance was granted”, NBA said.